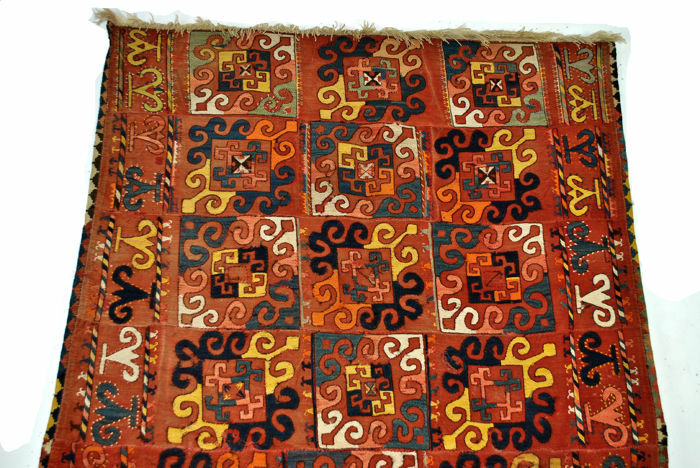 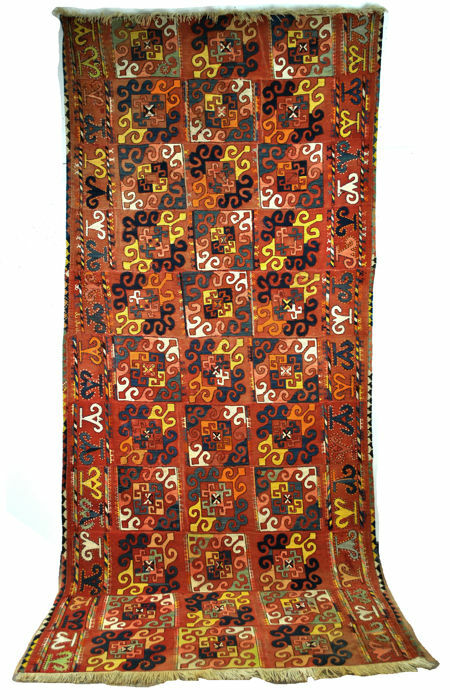 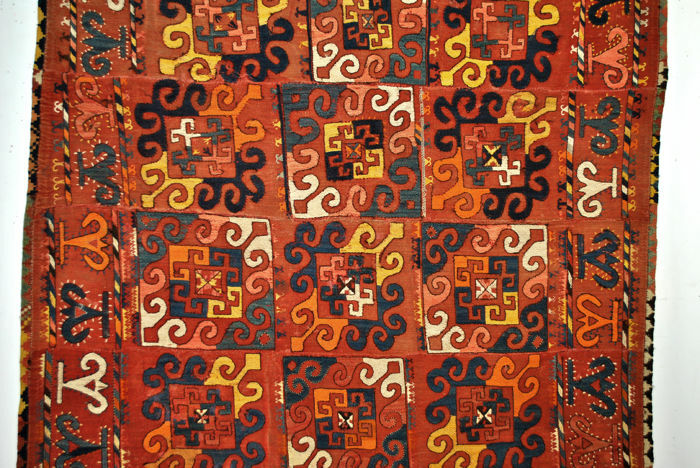 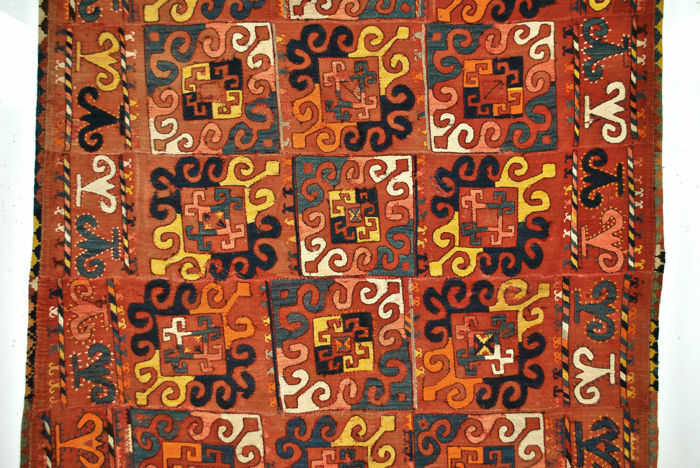 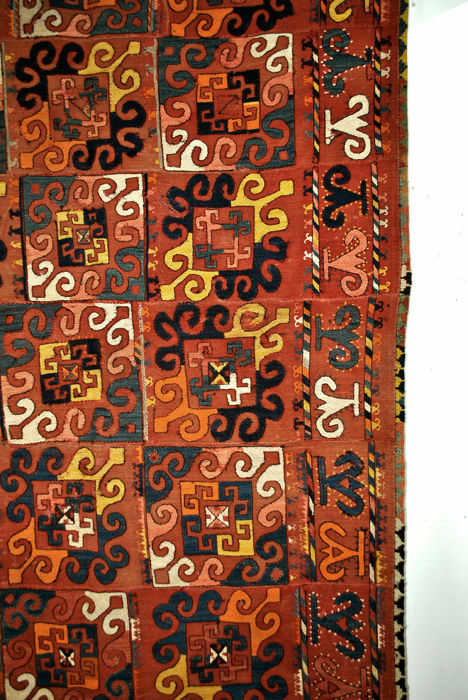 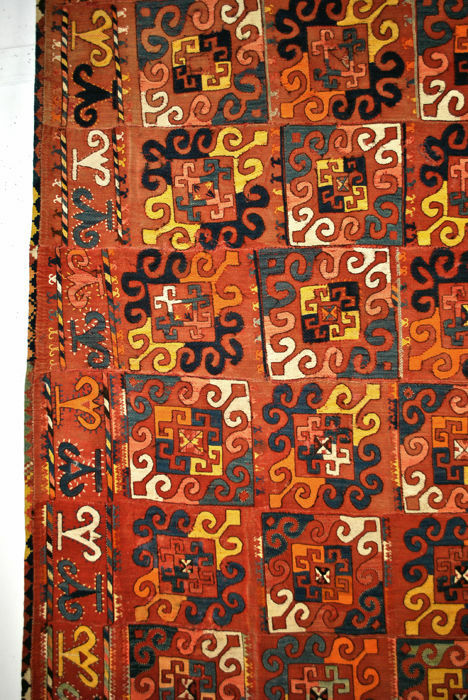 Kilim with negative/positive alternating pattern. 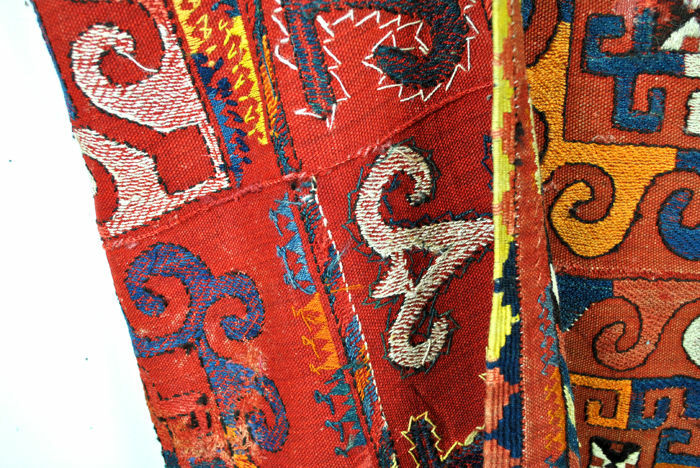 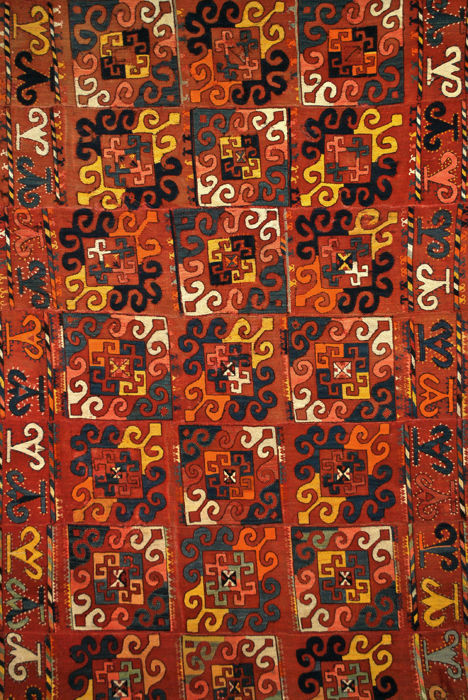 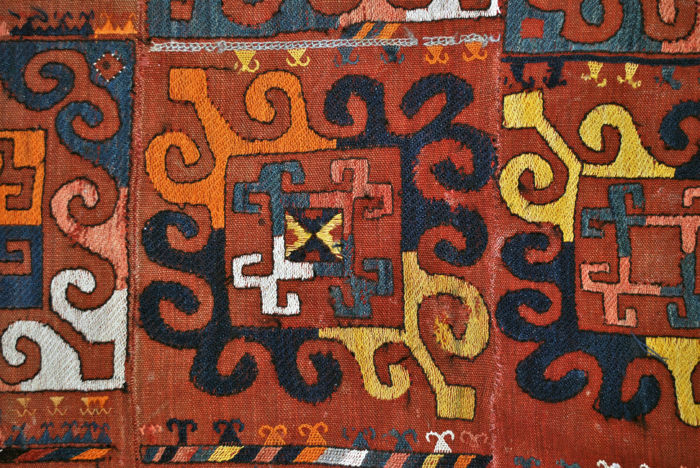 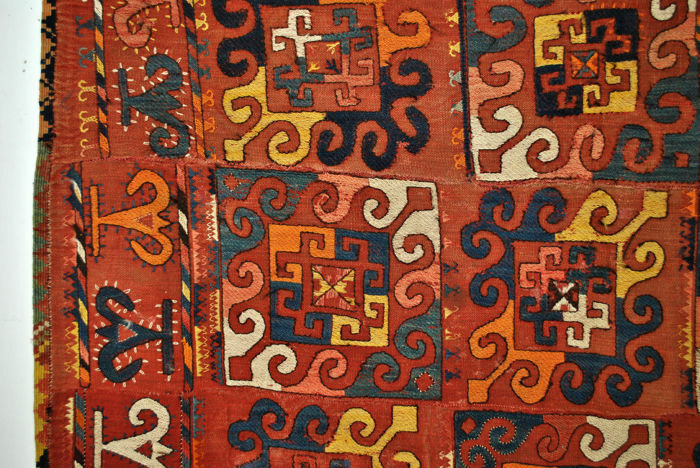 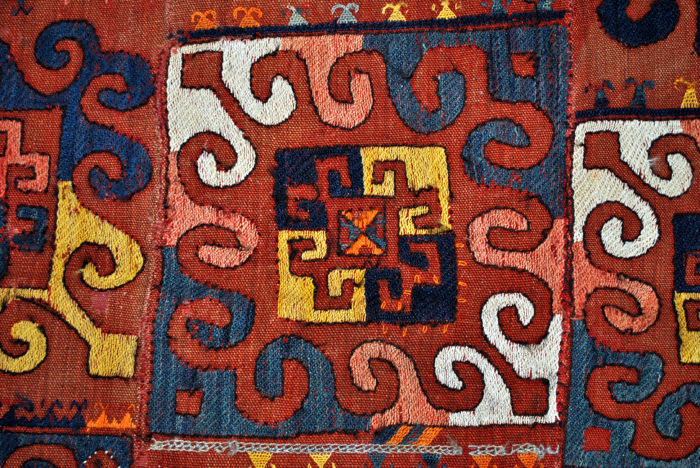 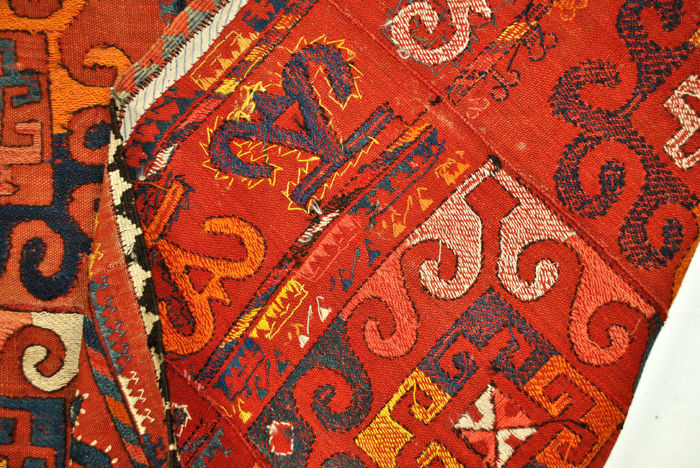 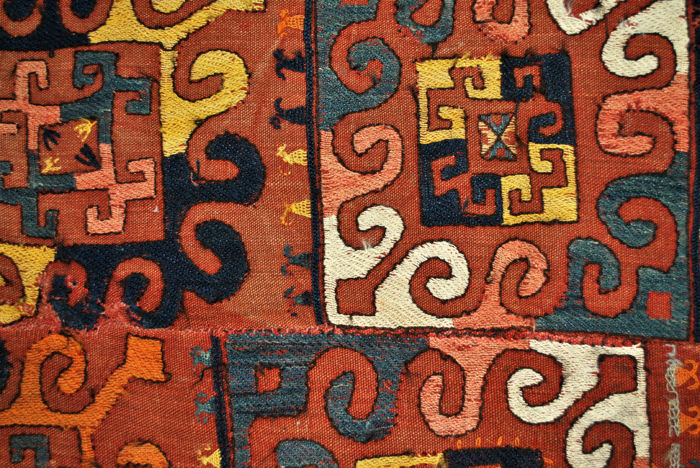 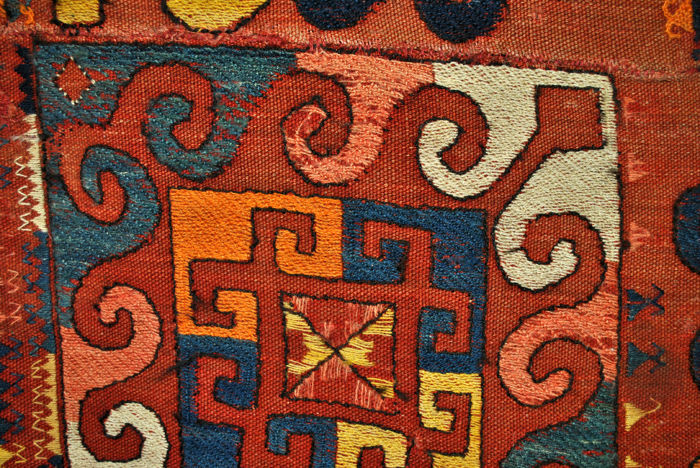 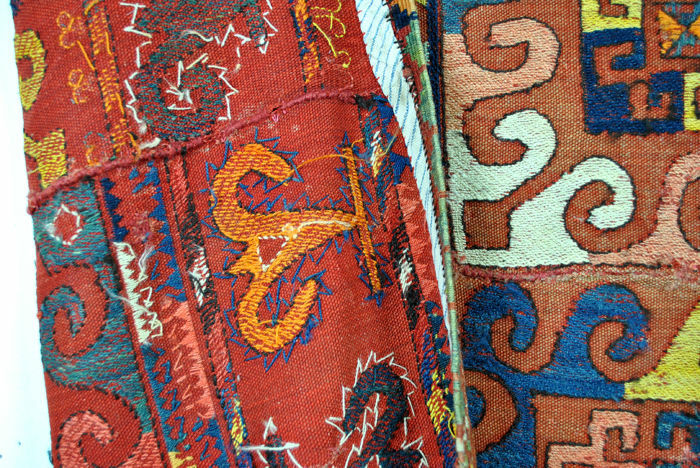 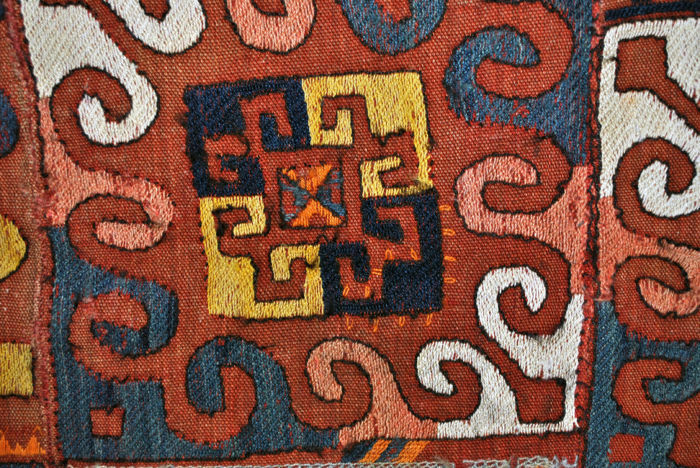 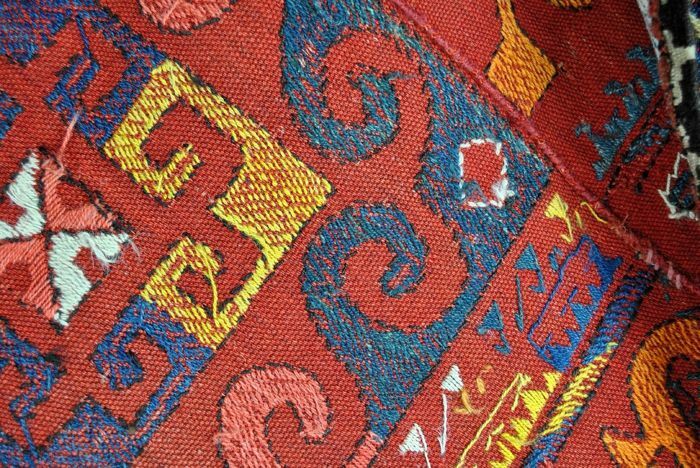 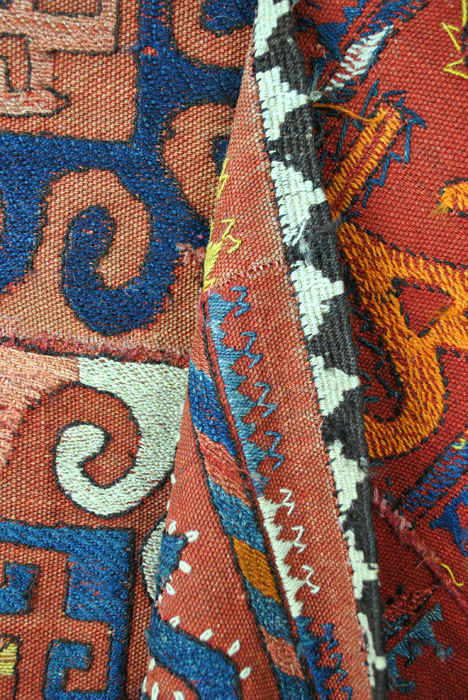 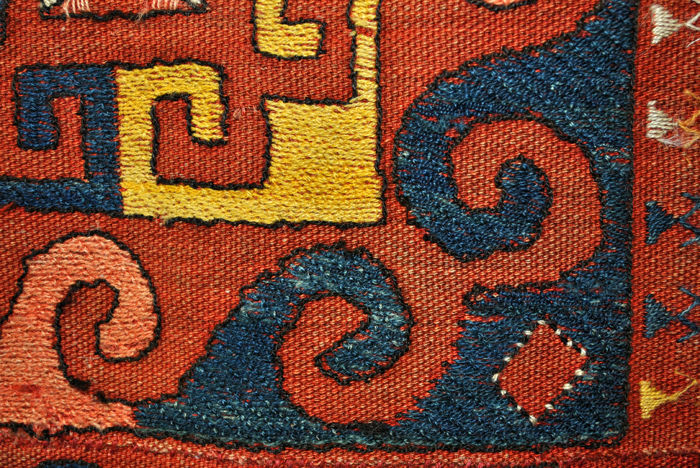 The kilim is made of small parts which were sewn together. 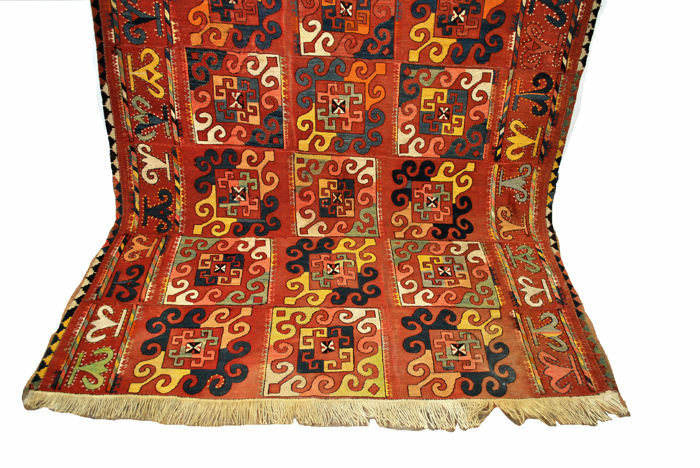 Undamaged and clean, no defects.